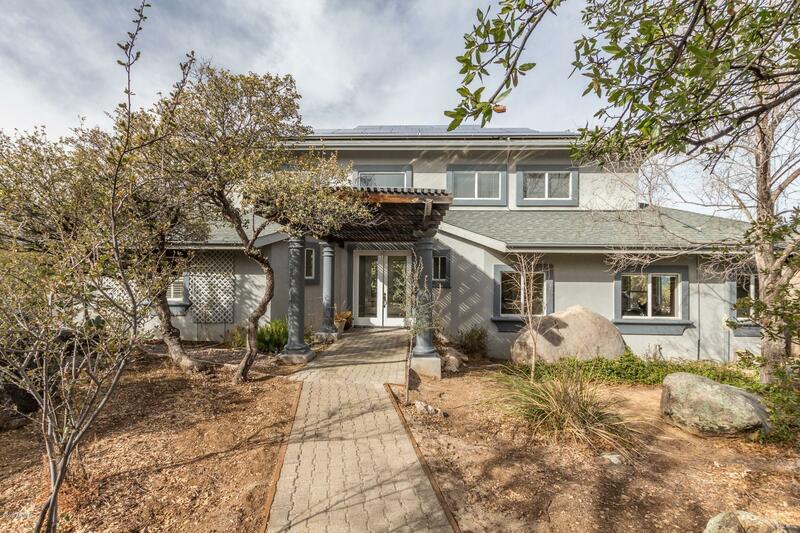 Absolutely stunning custom home in Prescott!Huge lot! Over 1 acre!! Hardwood flooringand panoramic windows to enjoy the view! 2Master bedrooms, one up and one downstairs,ceiling fans, and spacious walk in closet. Fullbathroom with single sink vanity. Great roomhas cozy fireplace, built in entertainmentcenter and french doors that exits to awrap around deck. Kitchen is completewith breakfast bar, a plethora of cabinets,soapstone counters, and stainless steelappliances. Breakfast nook has built in bench!Backyard features natural landscaping, 25 ftRV pad and plenty of room for entertaining.This is an amazing place to call home! !